A new poultry red mite control that will help improve bird welfare has been launched by Bayer. Bayer rural hygiene manager, Ken Black, said around 90% of laying flocks experience poultry red mite infestations at some point in the annual cycle, causing major issues for many producers. “The damaging parasites thrive in areas with high humidity and their rapid reproduction cycle can greatly impact on bird welfare and productivity. “Mites can cause significant stress to birds, and in worst case situations they can consume up to 5% of a hen’s blood in one night. Therefore, it’s crucial that any infestation is controlled quickly, to maintain hen welfare and prevent production losses. 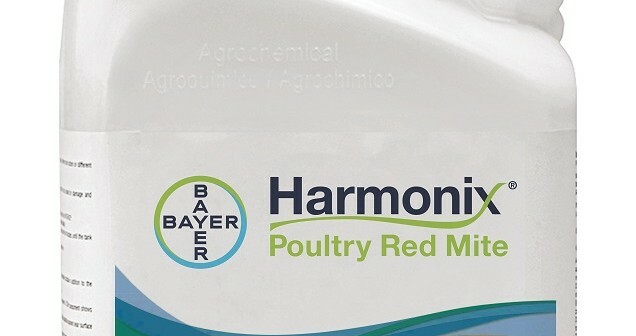 “Harmonix Poultry Red Mite’s physical mode of action kills poultry red mites by creating a sticky barrier to immobilise them, and because the product doesn’t rely on a chemical active ingredient it’s not registered as a biocide,” he said. Black added that this fast control reduces the window of opportunity for active red mites to feed by up to 48 vital hours, compared to some alternative control methods. 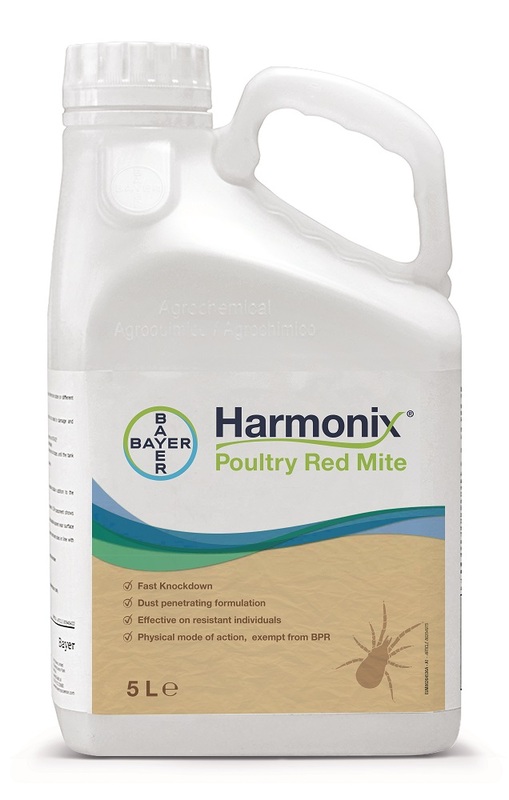 Harmonix Poultry Red Mite can be used as a standalone treatment, or in sequence with conventional insecticides and will be available to purchase from November 2018.